This poinsettia is a true sign of the Christmas holidays which is less than a month away. Loew's was so festive today with table after table of these magnificent blooms. This card was created with blender pens and reinkers. The center pearls were colored with Stampin'Ups new Blendabilities. If you have thought of owning the Blendabilities Markers, Monday, December 1,2014 is the day to buy them. Stampin'Up is having Online Extravaganza which started on the 24th until Dec 2nd. On Monday, the 1st the DOOR BUSTER is 12 Blendabilities assortment for 100.00. That is 36 markers. Add the skin assortment and the color lifter to complete the full set. online extravaganza. 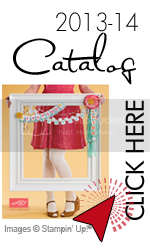 There are punches, stamp sets, accessoriesand even the Big Shot Magnetic Platform which is 40% off. All the items are while supplies last. The Blendabilities is only Monday, December 1st, 2014.